The Utton Center Releases Water Matters! 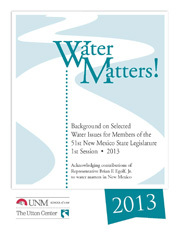 Water Rights Management in New Mexico and Along the Middle Rio Grande: Is AWRM Sufficient? Water Marketing in New Mexico.